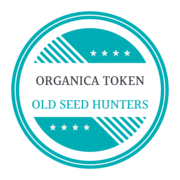 Description: Old Seed Hunters have created ORGANICA Token !!! Clean water, healthy food, organic seed, future of the planet !!! ORGANICA Token the future that comes !! !